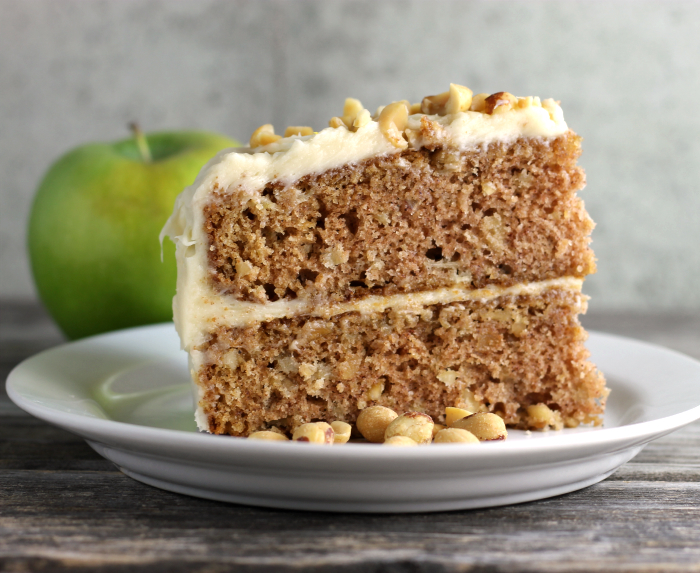 Apple peanut cake with caramel cream cheese frosting, a two layer cake filled with apples and peanuts then topped with a sweet caramel cream cheese frosting. My sister Lauri celebrates her birthday on Halloween. As a kid, we would tease that she grew a wart on the end of the nose around Halloween. These days we don’t tease her about silly things like that, I guess that was kids’ stuff. These days I like to surprise with birthday cakes. I made this apple peanut cake with caramel cream cheese frosting for Lauri’s birthday. I am fortunate enough to have my family close by, in order to make things like birthday cakes and celebrate special days like birthdays and holidays. As I have mentioned on my blog several times, Sunday evening is a night when a few of my siblings will gather at my mom’s home and visit. Since Halloween was on Monday, I brought the apple peanut cake with caramel cream cheese frosting to my mom’s house on Sunday. Just as I hoped there were a couple of my siblings there and my daughter and grandchildren. The reviews on the cake were all positive. My mom told me that this apple cake was the best apple cake she had ever eaten. You can’t beat reviews like that. What is your favorite cake when your birthday rolls around? 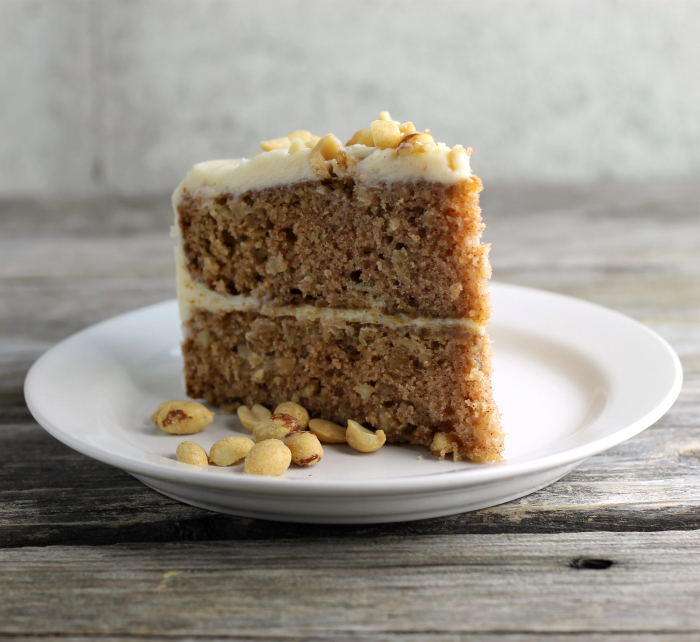 I normally would pick anything chocolate, but the apple peanut cake with caramel cream cheese frosting is so yummy, I may have to rethink the whole chocolate thing. If you like this recipe you may like this one as well. Two slices of this, please. 🙂 This looks SO good — love all the flavor you’ve crammed into this recipe. Thanks! A fantastic apple cake! Can’t resist anything with peanut butter. This looks so delicious! I am marking it for future use! 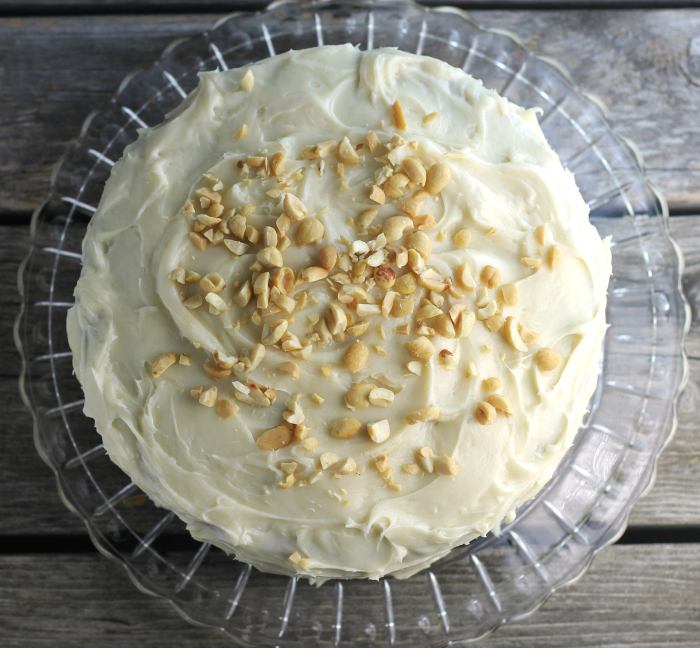 An apple cake with peanuts, it sounds delicious. This combination is just amazing. looks delicious! 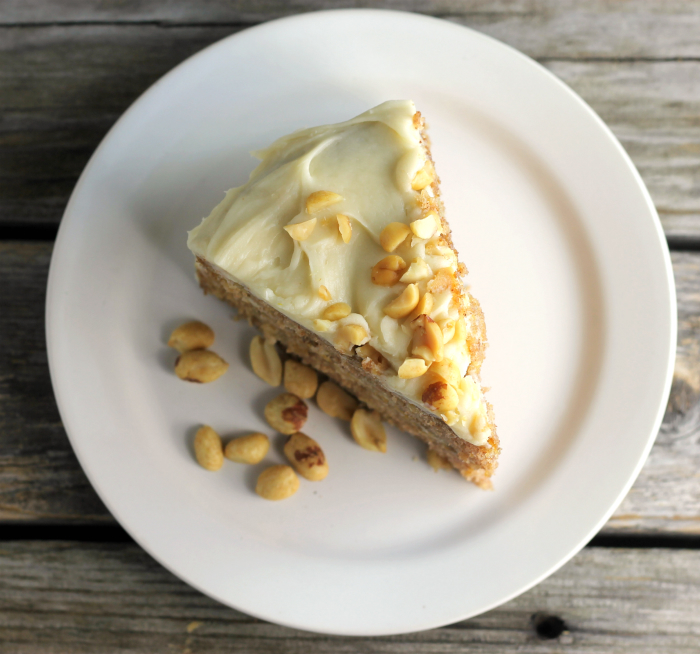 Love this apple peanut cake Dawn. Look absolutely amazing ! !